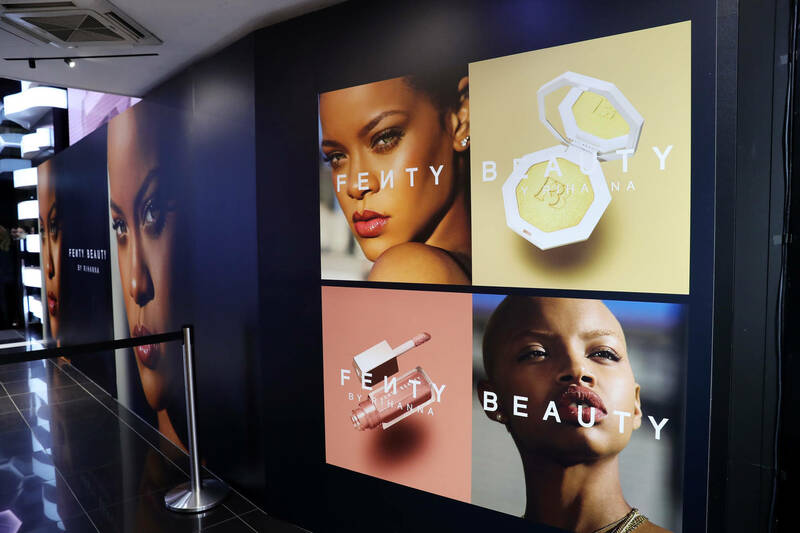 Home>Music> Rihanna Enters The Skin Care Racket After Trademarking "Fenty Skin"
Rihanna is one step closer to etching her name on every stone in the beautification industry. As Childish Gambino was busy premiering their co-feature Guava Island, Rihanna was off the races figuring out the details for the "Fenty Skin" trademark she filed on March 25th. I shouldn't be astonished that there's a distinction to be made between "Beauty" and "Skin" especially when it concerns something as esoteric (to me) as a skincare routine. There's no denying it, Rihanna's branding strategy has been flawless, with regards to all her Fenty lines. The fine print of her latest trademark patent is pretty hard to muck up, even for a mere hooplehead. She delineates the products mock-up strategy as that of a "medicated and non-medicated skin care, soap, body care, and personal care products (excluding color cosmetics, perfume, and other fragrance-only products), and related accessories such as kits, tools, and applicators." Literally what it says verbatim. To be honest, it doesn't what Rihanna does at this point: her brand is well well established, and her global outreach damn near ubiquitous. Upon learning of the "Fenty Skin" acquisition, my colleague told me, "well looks like my routine is about to change." If you're still in doubt over Rihanna's claim to longevity, consider this: "Fenty" was literally crowned the "invention of the year" by TIME magazine in 2017. MUSIC Rihanna Enters The Skin Care Racket After Trademarking "Fenty Skin"